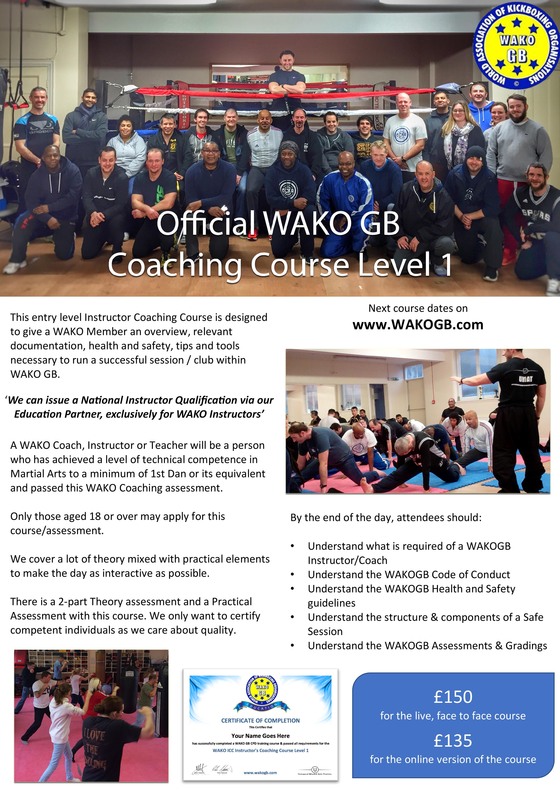 The next LIVE WAKO Instructor Coaching Course has been confirmed for August 20th 2017 at Fitness First in Solihull. If you book onto this, use the code ICC-CP-0817 at the checkout to claim the discounted price. On the day, you’ll also be given access to our updated WAKO Child Protection Online Workshop. There are only 20 spaces available for this course so book soon.